Purchase our Oil Change Coupon Book today! Buy 5 oil changes, and your 6th one is free! You're automatically enrolled, and we'll email you reminders when your vehicle is due for an oil change. We'll even notify you when it's time for your free one. Oil changes on any vehicle in your household count toward the free one! 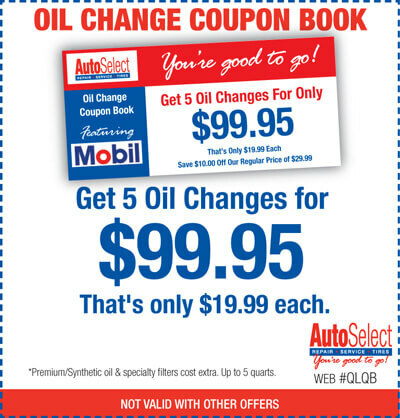 Click Here to purchase the oil change coupon book.